Charis is an independent researcher, who specialises in equitable work scenarios in urban India. She was formerly leading researcher at Okapi Research and Advisory where she headed research and consulting practices on resilience particularly in the context of designing solutions to minimise business and livelihoods disruptions. 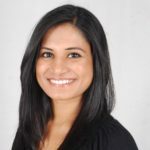 Having worked and studied across 4 continents, she is motivated to identify solutions that create sustainable and resilient business solutions, particularly for workers and entrepreneurs in India’s informal economy and MSME sector. She has worked on consulting and research projects on urban livelihoods; poverty; e-governance; and participatory urban planning. Charis holds a dual Master of Public Administration from the School of International and Public Affairs at Columbia University, a Master of Public Policy from the Hertie School of Governance, and a Bachelor of Arts from Gordon College.